CRAZY EYES STRANGLES AXTELL HOUND | I'm Mad Too, Harry. A man was arrested Sunday after he was accused of attacking and threatening his ex-girlfriend, then choking her dog in an incident earlier this year in Elm Mott. McLennan County Sheriff’s Office deputies were called Jan. 29 to the 4400 block of Old Dallas Road, where a woman was found to have red marks on her neck, arm and chest, as well as a torn t-shirt, according to an arrest warrant affidavit. The woman said her ex-boyfriend, Brandon Eugene Stringer, 25, got into an argument and became violent. After the assault in the bedroom, the woman told Stringer to leave, the affidavit states, but Stringer grabbed her dog, a small hound, and began choking it. Authorities said Monday that the dog was not killed. Stringer left the house before deputies arrived. The woman said Stringer threatened her, saying he would “slit everyone’s throat if she called the cops,” the affidavit states. Stringer was arrested Sunday on a third-degree felony charge of assault and three Class A misdemeanor charges of interference with a request for emergency assistance, terroristic threat and cruelty to animals. 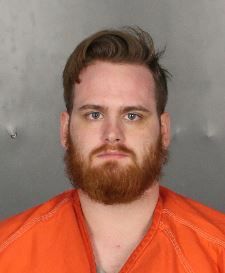 Stringer was booked into McLennan County Jail, where he remained in custody Monday with a bond listed at $15,000. Tags: #amazing, #AnimalCruelty, #AxtellCrime, #BrandonStringer, #BravePet, #court, #DogNews, #dogstories, #DogStory, #injustice, #love, #Love stories, #TIME, #women. Bookmark the permalink.